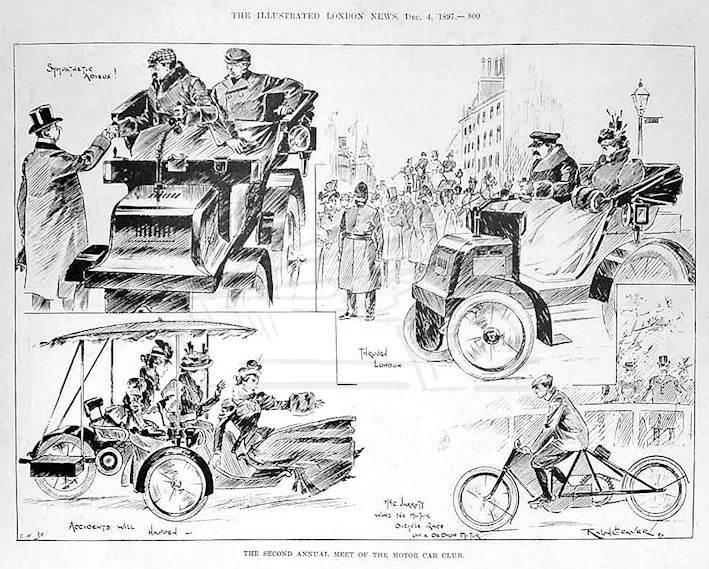 Very early illustration in Illustrated London News 1897. Otherwise nothing known about this artist. The Second Annual Meet of the Motor Car Club ILN dated 4 December 1897.